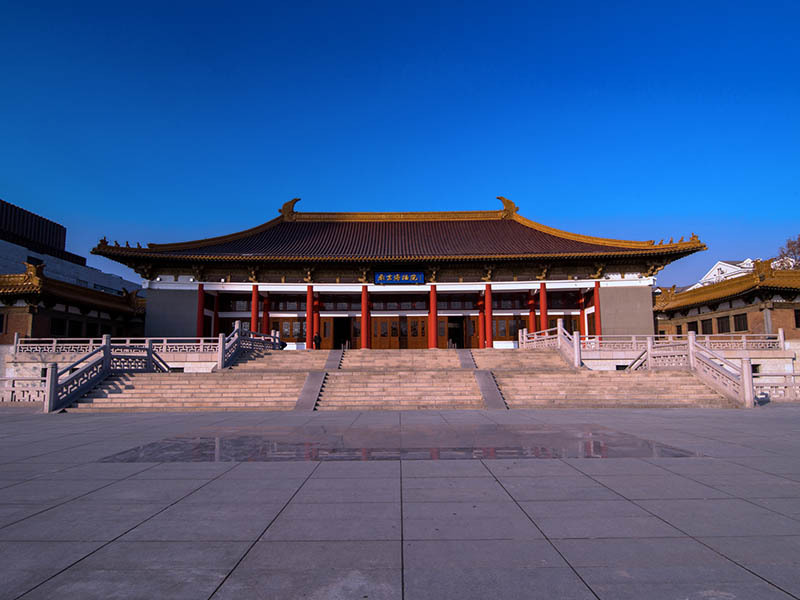 Served as the Kuomintang's Preparatory Office of National Central Museum, it was established in 1933 by Mr. Cai Yuanpei and reopened to public in 2013 after the second phase expansion. Besides the original Historical and Art halls, four newly-built halls are the added value. The Republic of China Hall visually displays the civilians' life during the period of Republic of China (1912-1949) with the Nanjing's local civilization as its theme. As of 2010, it has a collection of 420,000 pieces of relics of many kinds, more than 2,000 pieces of which are national treasures, especially the relics of archaeological excavations, ethnic minorities, foreign countries, royal court, Qing Dynasty literature and surrender rites of Japanese troops in the Second World War as well. Inside the Digital Interactive Hall, whether it is playing with mirrors and red laser beams or the calligraphy and writing areas, it is very enjoyable. An important Chinese art masterpiece – Story of the Grand Capital – is digitally animated and projected onto textured backgrounds. The Intangible Cultural Heritage Hall doesn't only briefly introduce general information of intangible cultural heritage projects in Jiangsu, but also dynamically exhibits bustling folk-custom activities, traditional handicraft and traditional oral performances. Although it is for free, visitors need to obtain their tickets at the service center. Just enter the main gate, spot the service center on your left, show your passport at the counter to receive a ticket valid for one day. There is another museum in Nanjing called 'Nanjing City Museum'. The Chinese pronounce of these two museums is a bit confusing. So make sure you are heading to Nanjing Bo Wu Yuan (Nanjing Museum南京博物院) instead of Nanjing Bo Wu Guan (Nanjing City Museum 南京博物馆). Visitors can enjoy free movies (with English subtitles) about Nanjing at the museum theater. Daily movie program can be found at the official website or checked at the service center. Cafeteria located on the 4th floor of the Special Exhibition Hall is famous not only for F&B, but also for its beautiful terrace and fascinating overlook of the Purple Mountain. There are shops inside the Republic of China Hall selling products featuring that unique era. Especially, performance of Baiju or Suzhou Pingtan is staged every afternoon from 14:30 to 15:30. Visitors can sit down, take a cup of local tea and enjoy the performance as old Nanjingers always do. Metro Line 2 Imperial Palace of Ming Dynasty (明故宫) Station Exit 1. Walk East and turn left at the second crossing.